LED light therapy has been around for decades – NASA used the technology in plant growth experiments on board the space shuttle in the 80’s. Light therapy is a non-invasive treatment that penetrates the skin at different depths, creating various reactions in your skin, such as fighting acne-causing bacteria, plumping the skin, reducing wrinkles and pigmentation patches. 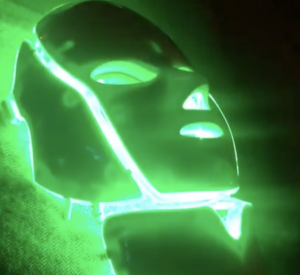 Add a 15 minute LED light therapy mask to any facial treatment for just £5.00.